The site is located in the southeastern section of Howard County, Maryland, which ranks among the uppermost counties in the U.S. in median household income - $110,238, third-highest in the nation - and has one of the most highly-rated school systems in the country. 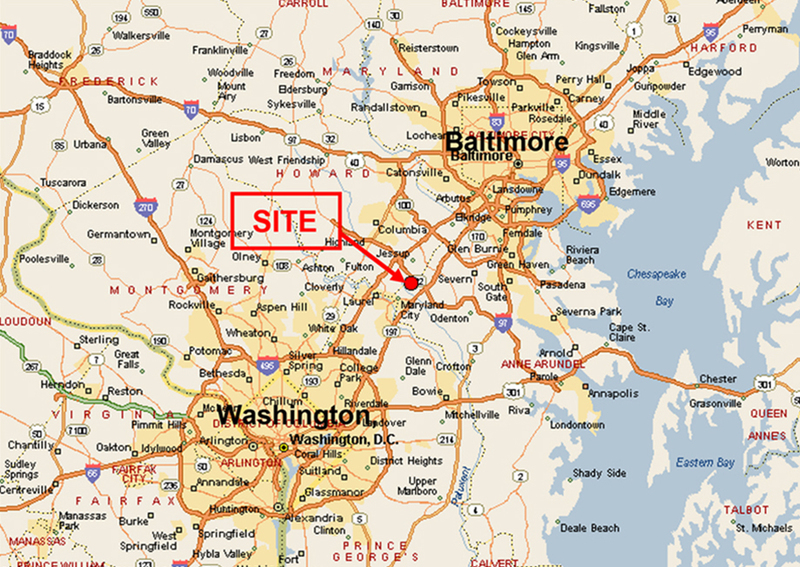 The site is on a direct line between Washington, D.C. and Baltimore - approximately 20 miles from downtown Washington and 15 miles from downtown Baltimore. The property has frontage on Route 32, with the project situated in the southeast quadrant of the intersection of Route 32 and Dorsey Run Road. 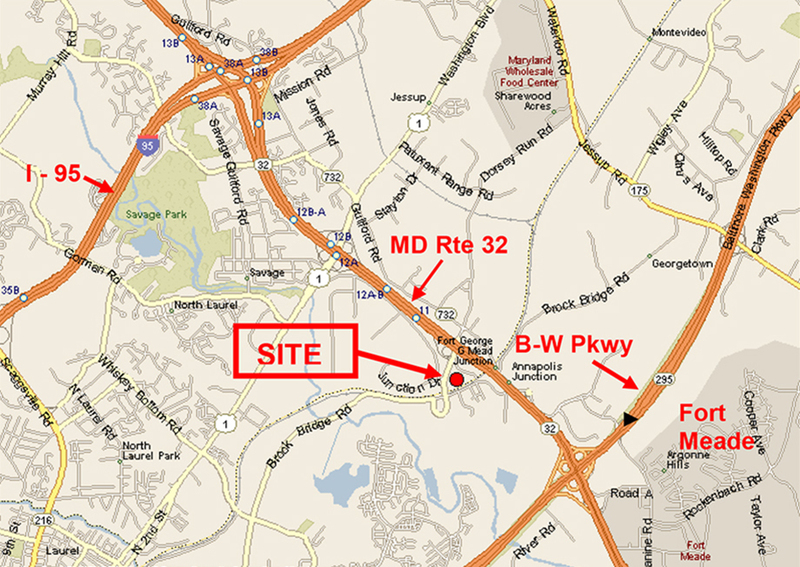 Because of the employment growth at Ft. Meade, the majority of which has been in the form of support contractors, there has been significant development of office space nearby. And, considering the projected future employment growth, there is even more significant office space in the development pipeline. The following table presents a summary of major office parks in the immediate area – including both already-developed office space and future development potential. It is estimated that there is over a million square feet of office space currently under construction. In addition to normal and customary strip retail centers in the surrounding area, the site is close to two unusual retail/entertainment complexes. Arundel Mills - Less than ten minutes to the north of the site, via the B-W Parkway, is Arundel Mills, a vast retail and entertainment complex. Originally developed by the Mills Corporation as part of their national portfolio of large-scale destination outlet malls, the 1.3 million sq ft Arundel Mills is now owned and operated by the Simon Property Group. It has over 220 stores, including outlet locations for dozens of the nation's most well-known retailers. In addition, it includes a 24-screen multiplex theater complex, which claims to have the highest annual patronage in the U.S. 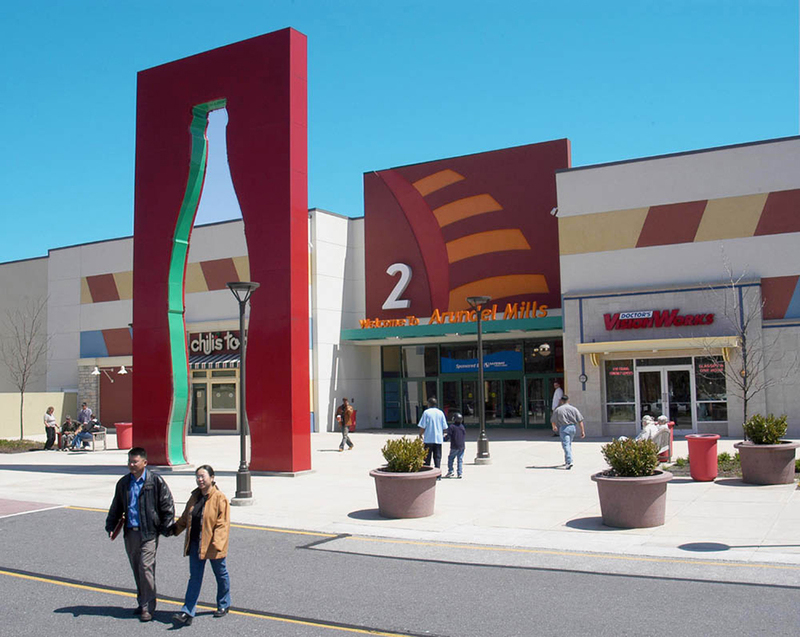 The success of the Arundel Mills mall as a retail attraction has resulted in extensive additional surrounding retail development, with stores including Costco, Walmart, Safeway, Best Buy, Dave & Buster's, Staples, plus numerous restaurants. The area also includes six hotels, including offerings by Marriott, Hilton and Westin. The newest addition to Arundel Mills is Maryland Live! It is comprised of a 380,000 sq ft gambling casino, with over 4,500 video lottery machines (slots) and soon-to-be table games. The complex includes restaurants such as Cheesecake Factory, Ruth's Chris Steakhouse, Phillips Seafood, and a Ram's Head Tavern live music venue. The continuing development of Arundel Mills has also resulted in substantial and continuing employment growth at this location. Savage Mill - Hidden within two miles of the site is Savage Mill, a unique retail, dining, and entertainment center. 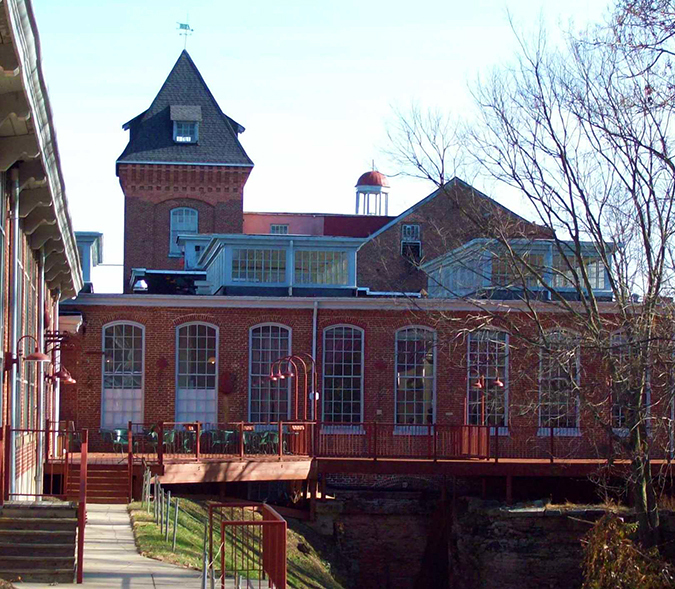 This project was created by the adaptive reuse of a 19th-century textile mill complex, which is on the National Register of Historic Places. The project now includes over 175,000 square feet of craft galleries, artist studios, home furnishing, antique and specialty shops, restaurants, and banquet facilities.